To simulate the authentic visual expression of the natural metal finishing painted P-47D is the goal of this build. I've collected hundreds of late WWII pictures and the restored and still flying P-47D. Here are a few examples that I'm following: This build started with the Hasegawa kit, with limited recessed panel line and the rivets only visible along these panel lines. I've decided to proceed with manually riveting. The Line Drawing was downloaded from theblueprints.com https://www.the-blueprints.com/search/p-47d/ It's my first time of using this set purchased from eBay.com. Unexpected challenges and mistakes were inevitable. Right after the riveting, I'd like to try the metallic brush texture commonly seen on the NMF airplanes. I've applied 1) Alclad II Black Base / Microfiller 2) 400/600 Grit sanding - around the fuselage 3) 600 Grit sanding in the different directions on the wings which been divided into large blocks Apply one more coating, 30% Alclad II Gloss Black Base + 70% Lacquer Thinner Next steps is to apply the main color with the airbrush to each divided panels piece by piece. The main color of this build is 70% Alclad II Duralumin + 30% Mirrow Chrome I don't have the fine resolution of pictures to share at this point. These 2 pics briefly present the idea. I was digging through some very old posts in the tools and tips section a modelling site(maybe this one) the other day and found a new technique for gluing photo etch metal parts to plastic, and to each other. The adhesive is actually paint. More specifically, clear acrylic lacquer, which is available in spray cans at most auto parts stores. Duplicolor and Rustoleum are two common brands. Acrylic lacquer has a polymer in it that when dry, basically leaves a coat of shinny hard plastic on what you spray it on. This polymer coating can be used as a bonding agent by itself, or melted/reactivated with MEK type liquid cements. I take a small plastic condiment cup and spray some of the acrylic lacquer into it. Just a quick sprits, as it dries very fast and turns sticky and gooey after a few minutes. Why waste what you can't use? Right out of the can it is liquid just like any paint. Using a paint brush, I apply a reasonable layer of the lacquer to the plastic part to which I am gluing the PE part, or vise versa. I then place my PE part to the spot and hold in place for a few seconds until the lacquer is cured enough to hold the part. Then let the lacquer harden for several minutes. The bond is amazingly strong even for small contact areas. The drying time allows you to adjust the part for a good amount of time. If you mangle the processor get a bunch of the lacquer where you don't want it, just clean it away before it hardens with some alcohol. I have found that the bond is best after at least 24 hours. 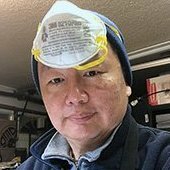 I technique that was mentioned, but I have not used yet involves preparing and folding your PE part and then spraying or brushing on a layer of lacquer to the contact area of the PE part and letting it dry thoroughly. Then use liquid cement to glue the part to the plastic just as you would gluing two plastic parts together. The glue melts the lacquer and the plastic part together. When the lacquer cures, you have a strong bond. This goes the same for metal to metal. Paint one or both mating surfaces with the lacquer, let cure, then bond with liquid cement. Obviously, you are not melting the metal. The MEK simply melts/activates the lacquer which bonds to the second surface same as it did when you applied it to the first. The beauty of this method is that it allows you to be very accurate with your application of the lacquer before you try to bond the parts. You can scrape or clean away any cured lacquer from the PE parts before you try to bond, using capillary action of the MEK to get to the lacquer once you bring the two parts together. A very important key to this is making sure the parts are clean first. I sand both mating surfaces with a 600 grit stick, and clean both mating surfaces with alcohol before applying the lacquer. It does not bond well at all if either surface has on them any finger oil, sanding residue, mold release agent or brass tarnish. Pros... Strong bond. Better sheer strength than Super glue. Works extremely well for flat brass to flat plastic. Seems to have a little "flex" to the joint and doesn't snap like CA. Longer working time than CA. I have been able to easily adjust the parts for 20 to 30 seconds depending on how thick or wet my lacquer layer was. Easy to clean, up to the point of being fully cured. Little extra dollops can be wiped away with alcohol from around the part leaving a clean joint. Even after cured, it can be sanded easily or even scrapped with a knife. Cons... Bad fumes. Definitely need good ventilation. Drying time is quick out of the can so you will only be able to glue a couple of parts at a time before needing another sprits of fresh lacquer. Must have you PE parts clipped, trimmed and clean before spritzing your lacquer. Longer drying time than CA so you can knock parts loose before they have fully cured. In some cases, it may be good to set the PE with the lacquer and then whisk a little CA along the joint to reinforce it, once it is locked in the place you want it. I use a homemade tool for this. I get a strand of very fine wire from an stripped electrical wire, then loop it around a needle. The closer to the tip the smaller the loop, which dictates how much or little CA you apply at once. Basically, just bend the wire over the needle, then start twisting the needle perpendicular to the wire. It ends up looking like a super fine candy cane with a tiny loop on the end about 1/16" in diameter. I then put this wire into a pin vise to use as a handle. I dip just the loop into super thin CA and then touch the edge of the loop to the desired joint. Capillary action will whisk the CA along the joint. Don't get greedy and try to apply too much at once, that leads to messes. Small loops and small applications. Every couple of applications, you have to burn off the dried CA with a lighter or candle. I hope you find this info useful. I am always thrilled when someone posts a great tip that makes my modeling easier. If anyone has any questions, I will try to answer them intelligently. Happy Modeling!